the pantry will be open December 28/29/30 from 1:00-5:00! Special opening for the holidays! The pantry is closed for the season! We will reopen starting at Memorial Day weekend for our regular schedule. 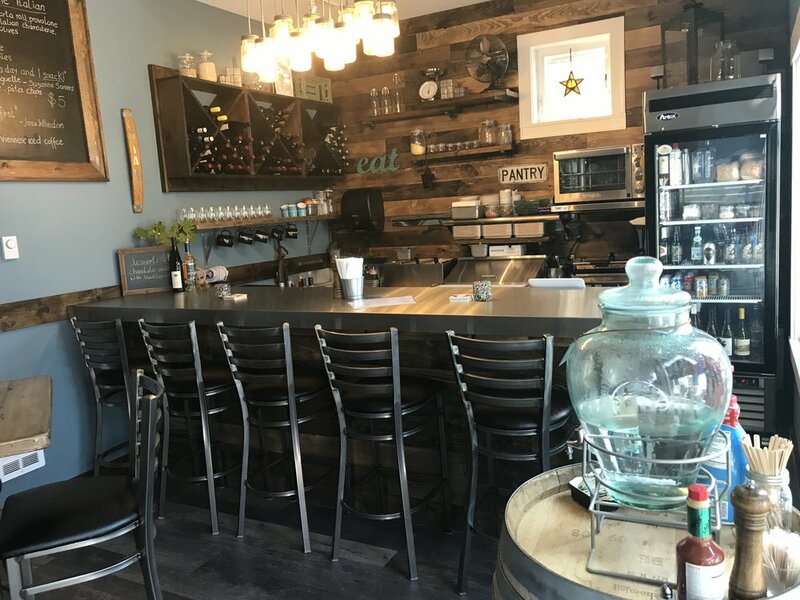 private parties are available in the off season, for more information please klick on the “private dinner at the pantry” tab above. we are also offering bagged ice, for all your party needs, for your boat or if you just don't want to run across town! Now open Fridays, Saturdays and Sundays from 1 - 7! "We keep moving forward, opening new doors, and doing new things, because we're curious and curiosity keeps leading us down new path." with pulled pork, ham, Swiss cheese and our version of yellow mustard-pickle sauce. Just one of the examples we offer at the pantry. We also offer additional menu specials and special drink offers each weekend! Our patio is always open as long as it isn't raining!